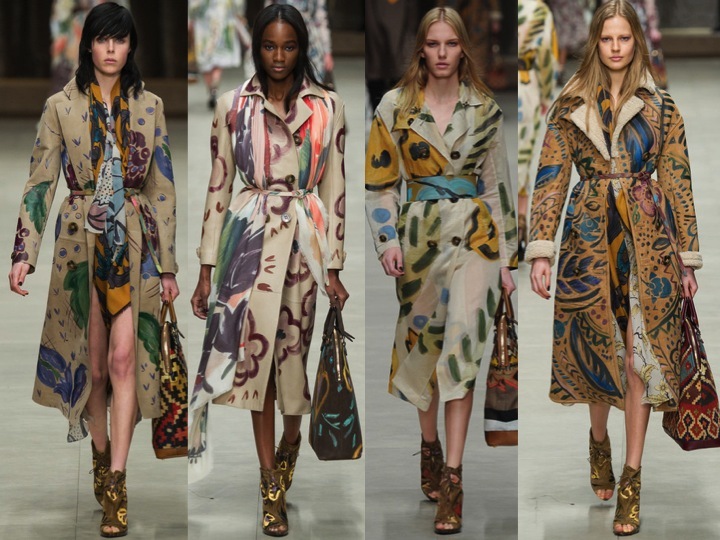 Burberry Prorsum’s Painted Ladies. 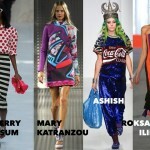 London Fashion Week. Yesterday I visited my friend Theresa, whom I met when she worked at Susan out on Sacramento Street in Pacific Heights, my favorite neighborhood boutique and first to carry edgy and unique designers Rick Owens, Junya Watanabe and Tom Binns. She recently had her first child, a boy, and has “retired” from retail to stay home for the first time ever and be a mom. 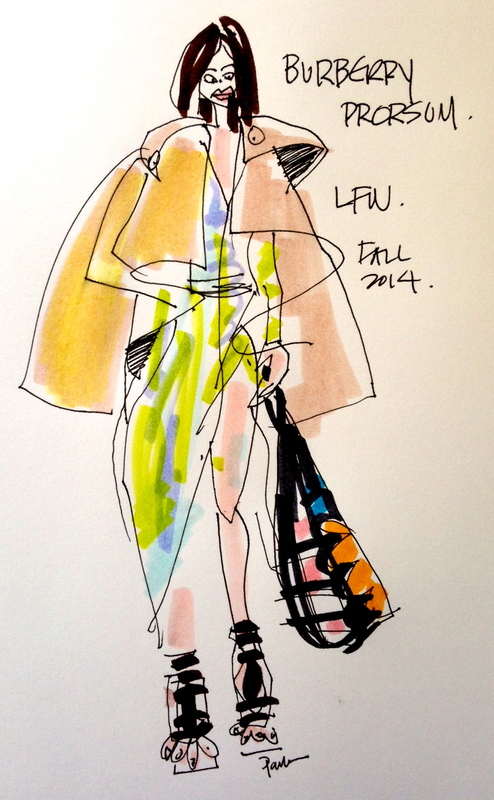 Burberry Prorsum Trench “Cape”, London Fashion Week for Fall 2014. So it’s fitting that yesterday’s London Fashion Week featured Burberry Prorsum, the king of on such classic, the Trench. Along with the perfect white shirt, little black dress and cashmere sweater, the trench coat is a classic that every woman should own. 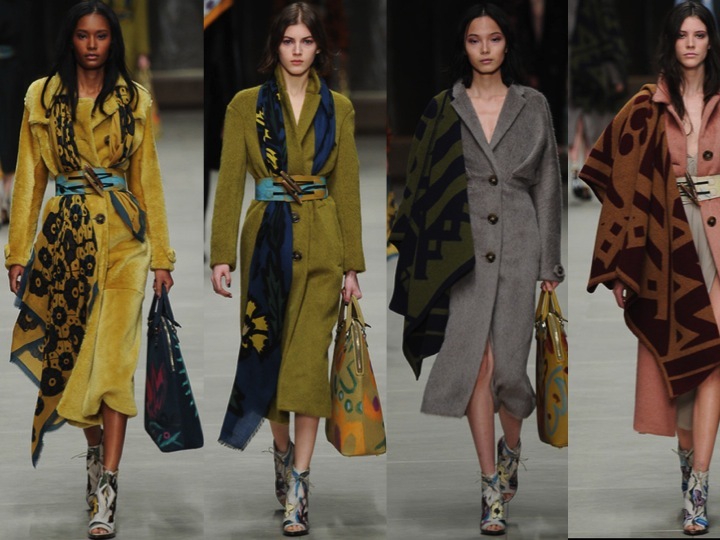 Burberry took the trench and transcended the genre, cutting it short into a cape, painting it with prints, warming it up with wool, and blanketing it with blankets, demonstrating how far this classic can go. So ladies, if you don’t own a trench, high-tail it to Polyvore or ShopStyle, type in “trench” (actually, if you click the links above, I’ve done the work for you! ), and start your research.